In the United Kingdom, Captain Birdseye is the advertising mascot of the brand. Appearing in numerous television and billboard commercials since 1967, he was played by actor John Hewer between then and 1998. He is depicted as a clean living, older sailor with a white beard, dressed in merchant navy uniform and with a seafaring accent. This character was so successful that when the company’s brand was relaunched with a younger man with designer stubble (played by Thomas Pescod), the project floundered and the older description of the character was brought back into the promotions. In 1993, Captain Birds Eye was voted as the most recognised captain after Captain Cook in a poll. The Captain Birdseye mascot is a reference to the brand’s extensive and well-known range of frozen seafood products, including Fish Fingers. Because the Birds Eye brand is marketed to families, many of the advertising campaigns feature Captain Birdseye as having a “crew” composed mostly of children in the preteen to teenage age groups, encouraging brand loyalty from children and emphasising the convenience of serving the company’s products to their parents. 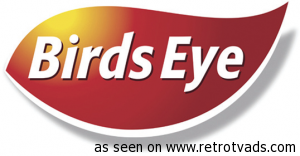 A 2005 advertising campaign in the UK features Captain Birdseye informing consumers that Birds Eye readymade meals contain no artificial flavourings or preservatives, with an emphasis that they are healthy to children. 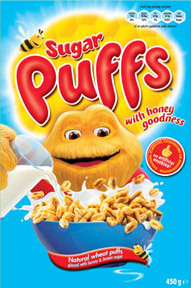 Sugar Puffs are a honey-flavoured breakfast cereal made from sugar-coated wheat sold in the United Kingdom. For many years they were made by the Quaker Oats Company but in 2006 they were sold to Big Bear t/a Honey Monster Foods, based in Leicester. The products under the Honey Monster title continue to be manufactured at the site in Southall, London. Sugar Puffs were first launched in 1957 with Jeremy the Bear. They were invented by William Halliday Davies (1919–2009), production manager at the Quaker Oats mill in Southall, London. The Honey Monster campaign in the 1970s was very successful. Honey Monster went on to lead many campaigns including appearances withBoyzone and ex-Liverpool FC & Newcastle United footballer Kevin Keegan, with actor Roman Stefanski playing the Honey Monster, before changing to Gary Martin, in which played many roles, such as Zordrak in The Dreamstone. Pedigree Petfoods is a subsidiary of the American group Mars, Incorporated specializing in pet food, with factories in Great Britain at Melton Mowbray, Peterborough and Birstall, Leeds; and offices at Waltham-on-the-Wolds. 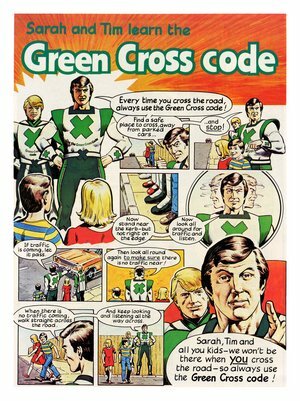 The Green Cross Code is a brand created by the UK NationalRoad Safety Committee (now the Royal Society for the Prevention of Accidents, RoSPA) to raise awareness of pedestrian road safety in the UK. 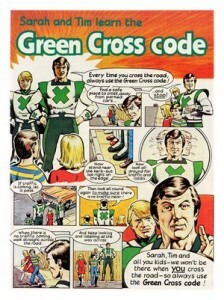 The multimedia Green Cross Code campaign began in 1970 and continues today.